Az előadás kivonata: In our everyday experience, the mass of an object is the sum of the mass of its parts. However, in the world of subatomic particles, this everyday assumption is no longer true and even very small mass differences can have cosmic consequences. 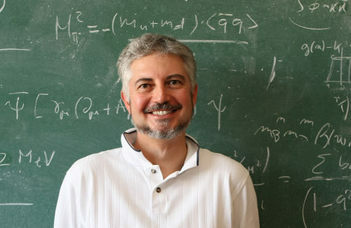 After an introduction to the mechanisms by which mass emerges, I will describe how supercomputers are being used to compute, from first principles, the interactions between elementary particles in order to reveal the origins of mass and to explain the stability of the matter which constitutes us and the visible universe.